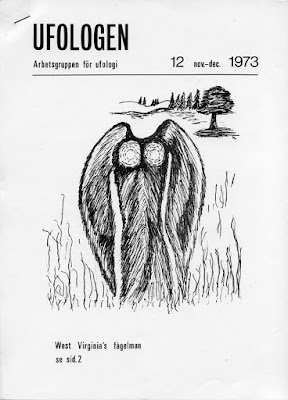 In several blog entries I have presented data and documents from my very extensive Richard Höglund file. 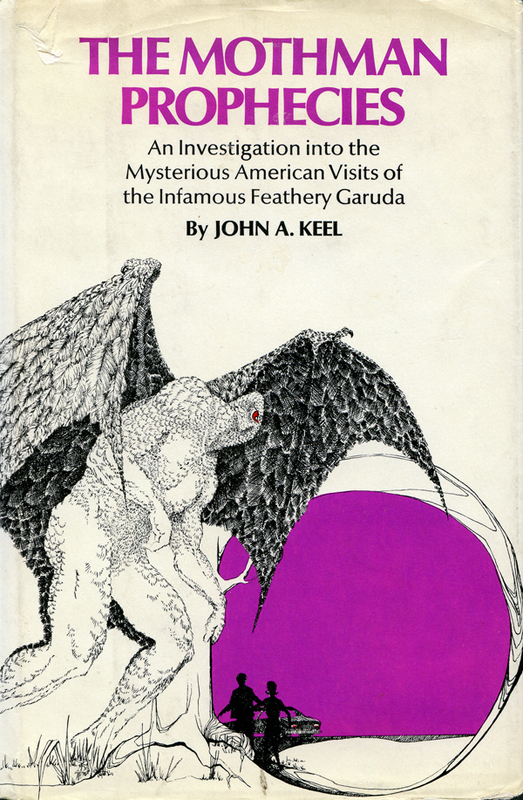 The most complicated and controversial UFO contact case I have ever investigated. 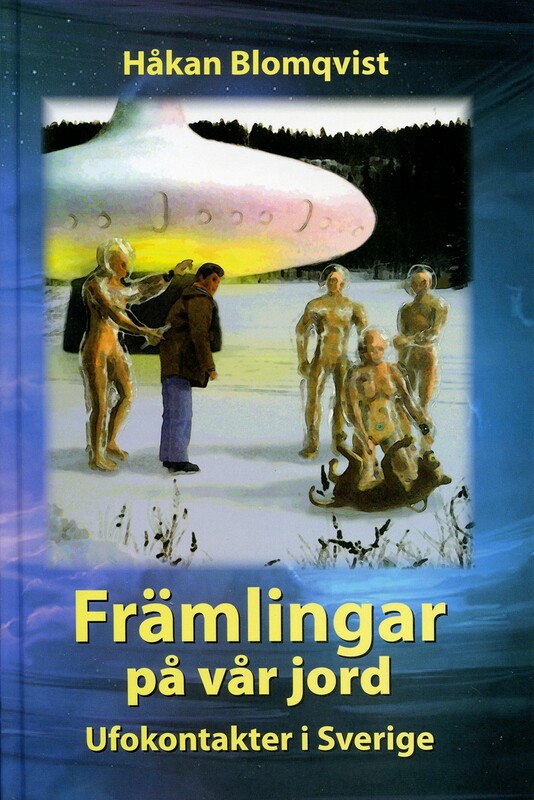 Basic information in English on Richard´s first encounter with the aliens on December 9, 1965 was published by Timothy Good in his latest book Earth An Alien Enterprise. It can also be found on this Norwegian website. I have not published so much data on Richard´s second contact, which proved to be decisive for his future life so here are some further notes from the Höglund file. In August 1966 Richard worked as a rock blaster at Färjelanda, north of the couples hometown Uddevalla, Sweden. On the night of August 24 he has difficulty sleeping and wake up at 03.00 a.m. Rising and preparing for the journey home he experience a compelling feeling to return to the lake where he encountered the aliens. Richard cannot resist this impulse and later told that it was like someone else was driving the car. He travel to the same lake again, Grindhultsjön (Grindhult Lake) parking the car close to the shore. 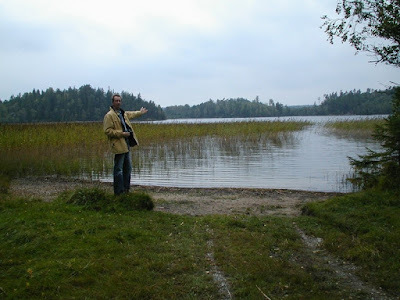 Walking down to the lake he notice a craft hovering above the water, not far from the shore. It is somewhat smaller than the one encountered during the first contact. Beside the craft is a man standing in the air, as if he was weightless. Richard understand that the man wants him to come out to meet him. After some searching he discover an old roving-boat and in spite of rather heavy wind and lots of reed, succeed in reaching the man. This alien Richard has not seen before. He is heavy built, ”a real wrestler type” with almost no neck. This man begin speaking in Swedish with Richard, but the sound is not synchronized with the lip movements and can be heard somewhat after coming from inside the craft. He explain that the Soviet Union and USA are planning a war with China and they need his help to start a peace movement. Inside the craft Richard recognize the older man from his first contact in 1965. Richard is given a mission which implies travelling to the Bahamas. He is also given a metal plate with hieroglyphic signs and is told to always carry this plate with him. Richard object to this mission explaining that he is only an ordinary worker with wife, a small private company and besides he cannot speak English so how could he accomplish any peace project. But the man standing in the air reiterate that they want him for this mission. After the conversation they bid farewell and Richard row back to the beach. 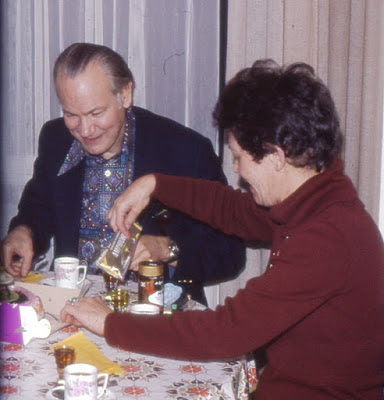 He find this whole situation strange and uncertain and he buries the plate in the woods before returning home to Uddevalla, at this point not mentioning anything of what has happened to his wife Gunvor. 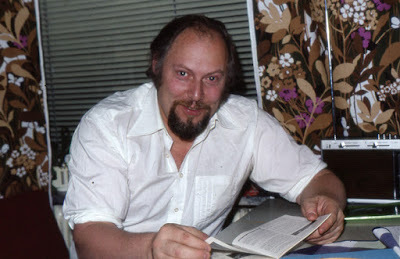 A few days after this encounter Richard call his close friend Gösta Johansson, narrating what has happened and that he has received a metal plate from the entities. 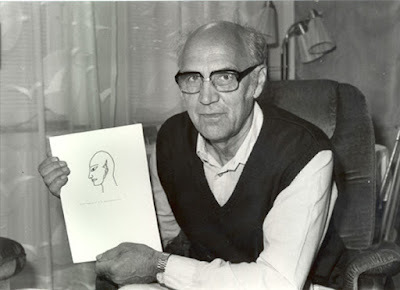 ”I felt like a prophet when I got that”, he explain to Gösta. In spite of his misgivings Richard has decided to accept the project proposed by the aliens and go to the Bahamas. ”I sacrifice myself now. I feel I owe them this because they have cured me” (from kidney stones – HB). The statement that the Soviet Union and USA was planning a war against China is interesting. In his book The Ends of Power, Richard Haldeman, White House Chief of Staff to President Richard Nixon mention that the US in 1969 received several inquiries from the Russians concerning a suggested surgical attack against nuclear installations in China. Kreml were concerned that China could be a military threat to the Soviet Union. Gösta: When Bahamas was mentioned, How did you feel? Gunvor: He started talking about Bahamas during the Autumn (1966 – HB). No, I said. I will never leave the home we have built. But he insisted that he must go. You are crazy, I told him – and what about Lizzie? (dog – HB). We can´t just get rid of her. Yes, but I have to go, and I will go alone, he told me. I have been ordered to go. And I thought, my God, I don´t dare to let him go alone. Then I was afraid. 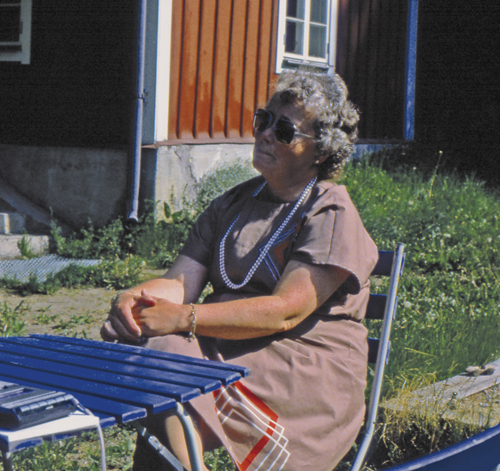 During the Winter 1966-1967 the Höglund couple sold their apartment in Uddevalla and most of their belongings to go to Bahamas. They were forced to have the dog killed as they didn´t know how long time would be gone. 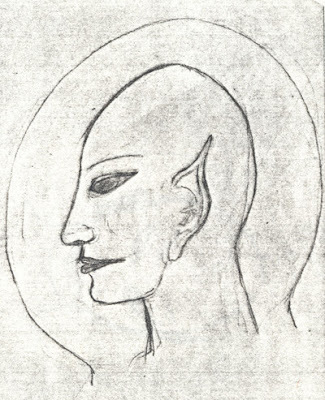 ”It is just him (the dog – HB) and me that has seen these entities. 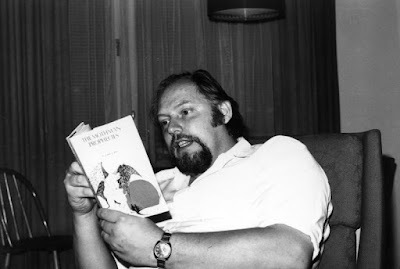 It´s almost like murder but I have to do it, Richard later lamented to Gösta Johansson. Gunvor: He showed me the plate once, put it in my hand and I noticed those signs. He asked if I felt anything. Only a slight warmth but nothing more. But there was another man in the Bahamas who had it in his hand once and became badly burned all over his hand. He was also in contact with them (aliens – HB) but could not handle the situation. He started drinking and became unbalanced, but he knew what it was all about. 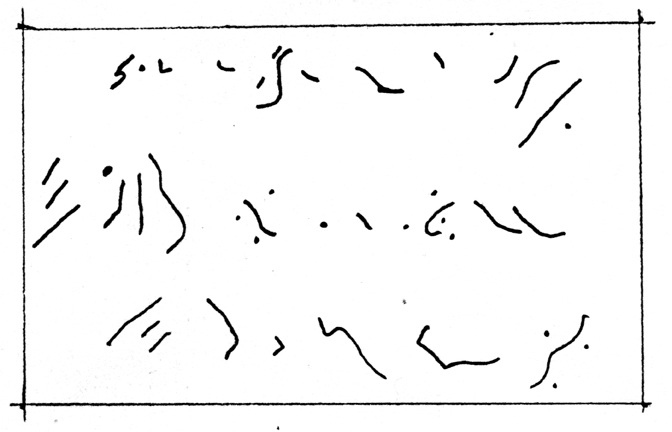 The signs are in three rows, consisting of small winding lines and dots, somewhat reminiscent of stenography. 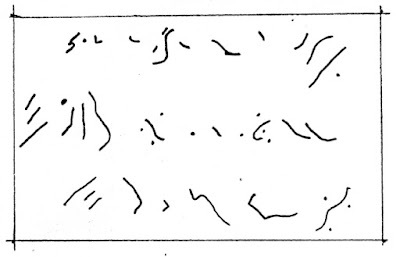 I have checked with an expert and they are definitely not stenography. Metal plates with unknown signs has been mentioned by several contactees in different parts of the world. 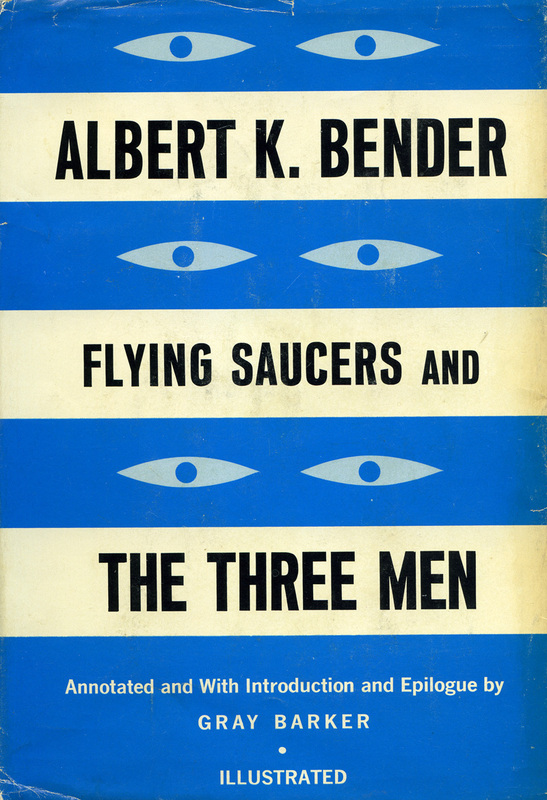 One of the first to write about this was George Adamski, published in Flying Saucers Have Landed. 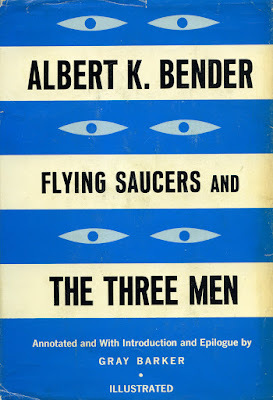 The contactee Albert K. Bender, author of Flying Saucers and the Three Men mention that he received a small metal plate from the ”Men in Black” that ”got so hot I had to drop it” (p. 93). There are still many unanswered questions regarding the second contact. Were the aliens during this contact also naked inside a transparent plastic garb as during the first contact? Why did Richard never encounter these aliens again? Later his contacts were only with ”normal” men of a slightly oriental look. They had brown complexion, like suntanned, thin, dark eyes, long fingers. 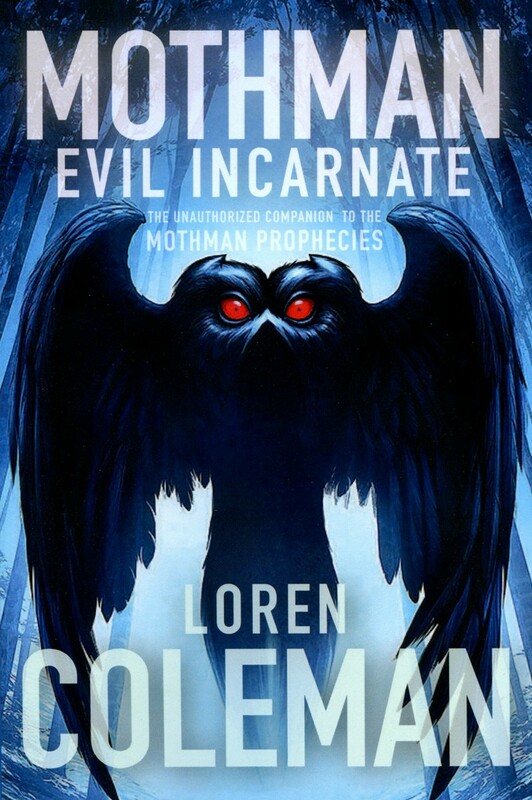 Later he claimed that the aliens hem met during the first two encounters were higher developed (overlords) coming from outside out solar system. Those he worked with for the rest of his life came from planets in our own system. 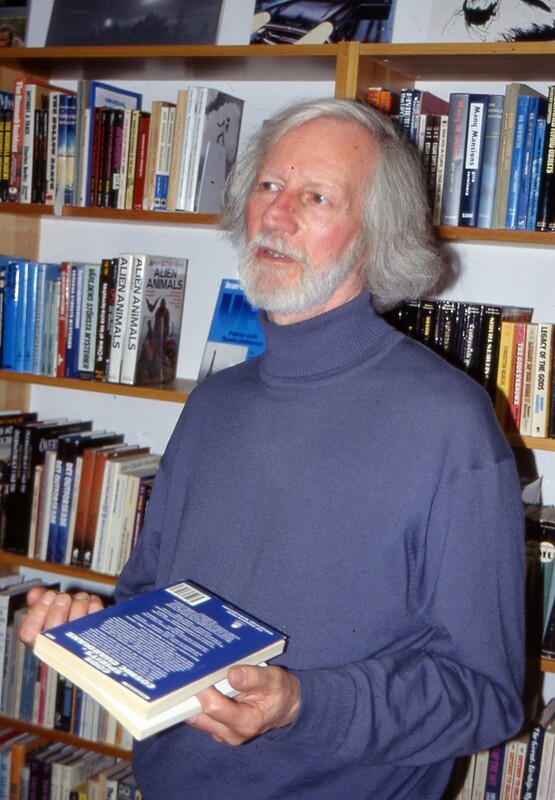 Richard Höglund was an unusual and reluctant contactee who never really trusted the aliens. That makes him unique in contactee history. 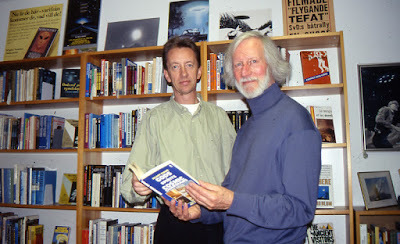 In the beginning of the 1990s the AFU board became increasingly aware of that we represented the third generation ufologists. Many investigators of the 1950s and 60s had disappeared from the scene and local groups had folded. This meant that personal and organizational UFO archives were scattered around Sweden and, in some instances, perhaps disposed. This realization initiated a concentrated effort to contact as many former ufologists as possible. An undertaking that proved very successful as almost all people contacted donated their collections of books, magazines, clippings, photos, organizational files, correspondence etc. 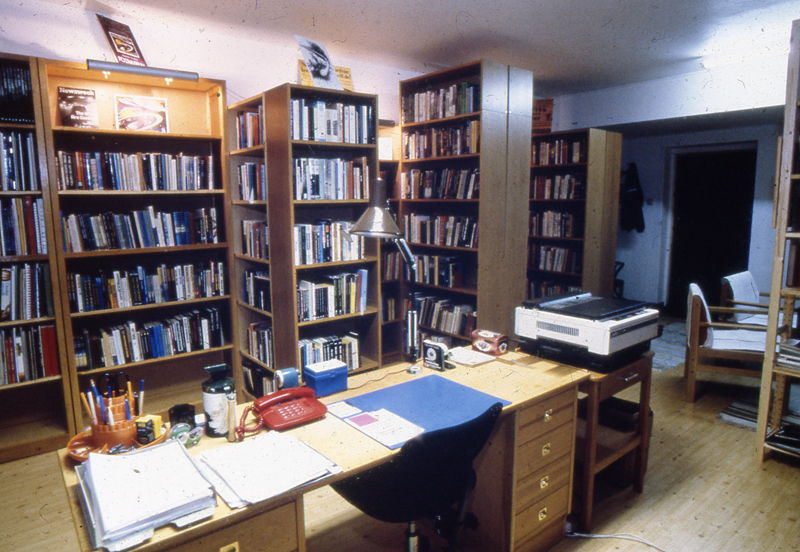 AFU during this period developed from a simple UFO lending library to an archive institution. 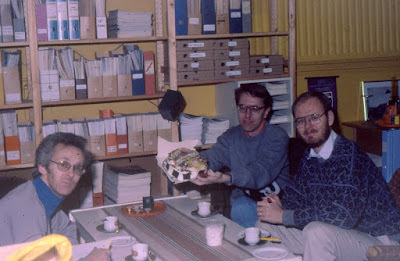 On November 19, 1990 the AFU board celebrated a ten year anniversary in our premises in Norrköping. 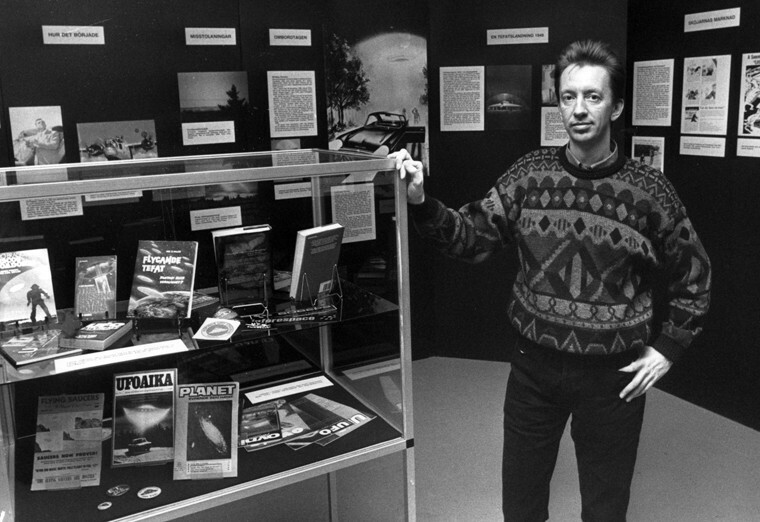 The national organization UFO-Sweden faced many problems towards the end of the 1980s. Local groups disappeared and there was a lack of entusiasm coupled with internal struggles between various ideological factions within the organization. This crisis reached its peak at the 1991 annual conference. Would the members vote for a science-based research organization or a New Age missionary ideology? The first option won with much support and journalist and ufologist Clas Svahn was elected the new chairman of UFO-Sweden. 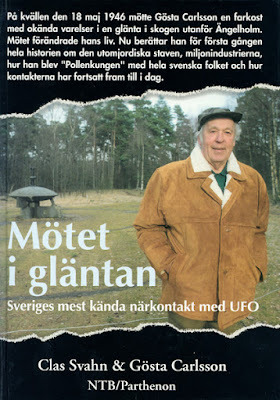 This was a watershed moment in Swedish UFO history as Clas Svahn now formulated the new ideological position of UFO-Sweden, labelled the Third Way Ufology: Neither naive belief nor debunking skepticism but an open mind to various theories and claims based on critical investigation and empirical data. By 1992 AFU was so well known and established that we began receiving collections of material also from our Nordic countries. The Danish UFO organization SUFOI donated a very extensive collection of magazines. The personal and organizational files were growing fast so we understood that soon a second premises would be necessary. Our 38 square meters simply couldn´t house all incoming items. In January 1992 we found a possible solution nearby. It was still used as an archive by the real-estate company who owned the premises so we had to wait until they could find a new archive facility. But during the Spring of 1993 we could finally begin renovating the new 75 square meters and in July part of the archive was moved from the old premises. 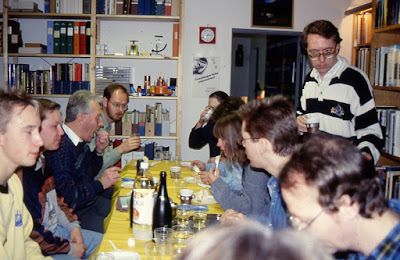 On October 31, 1993 the new facility was celebrated with an inauguration party involving ufologists from all over Sweden who enjoyed our Russian Champagne. To cover the expenses for our new premises we succeeded in creating a pool of idealistic sponsors, donating a small sum of money each month. 1993 proved to be a peak activity year for AFU. 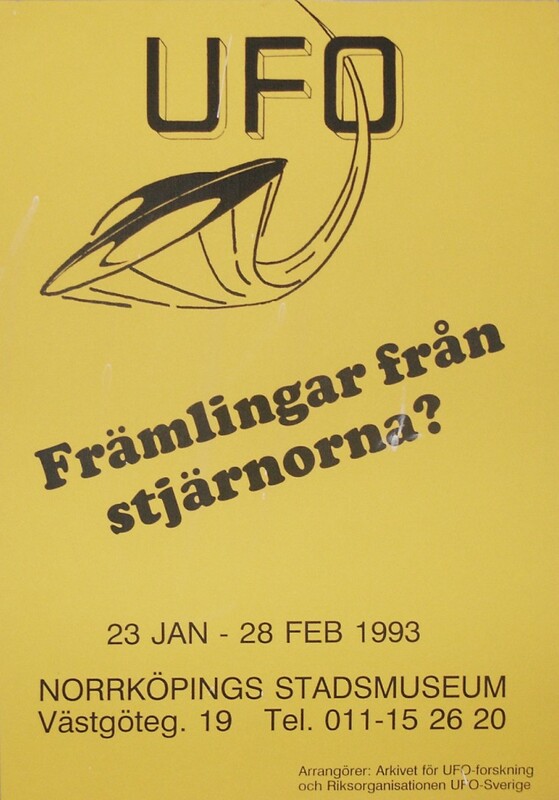 Between January 23 – February 28 we arranged a large UFO exhibition at the Norrköping City Museum. The exhibition, UFO – främlingar från stjärnorna? 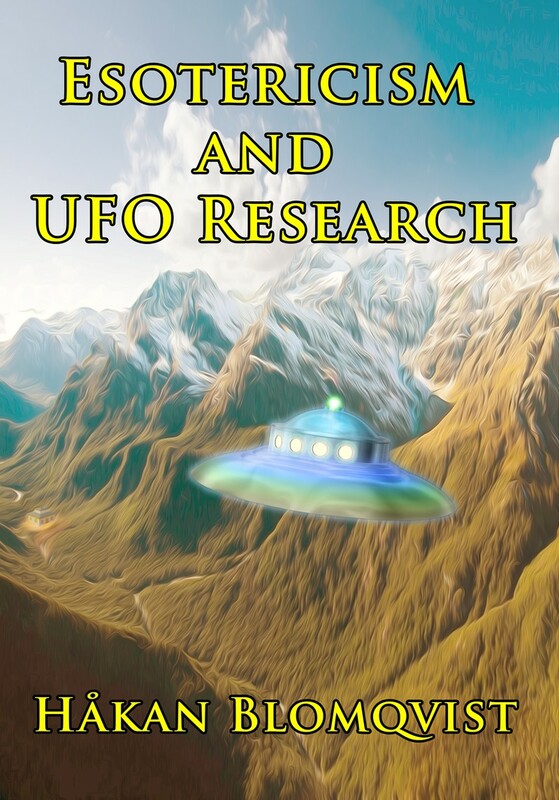 (UFOs – Strangers From The Stars?) resulted in very extensive media coverage. In 1993 the Swedish government introduced a project called ALU, Arbetslivsutveckling, making it possible for unemployed people to work six months at organizations etc, with the salary paid by the government. In March 1993 we applied for an ALU project and had no problem getting it. This gave us the possibility of hiring unemployed ufologists or other people interested in our subject to work at AFU. 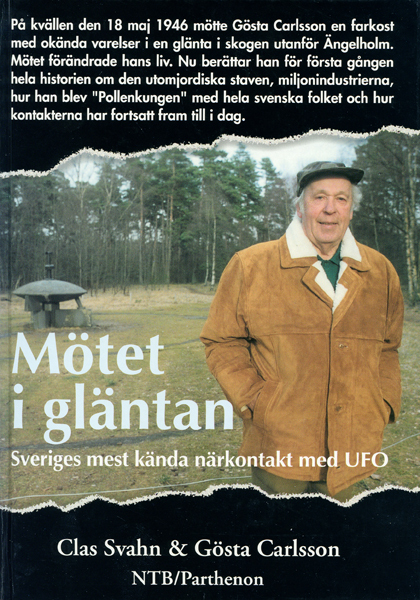 The first person to be engaged was Swedish ufologist Jörgen Granlie, who for several months coded UFO reports in our database ScanCat. 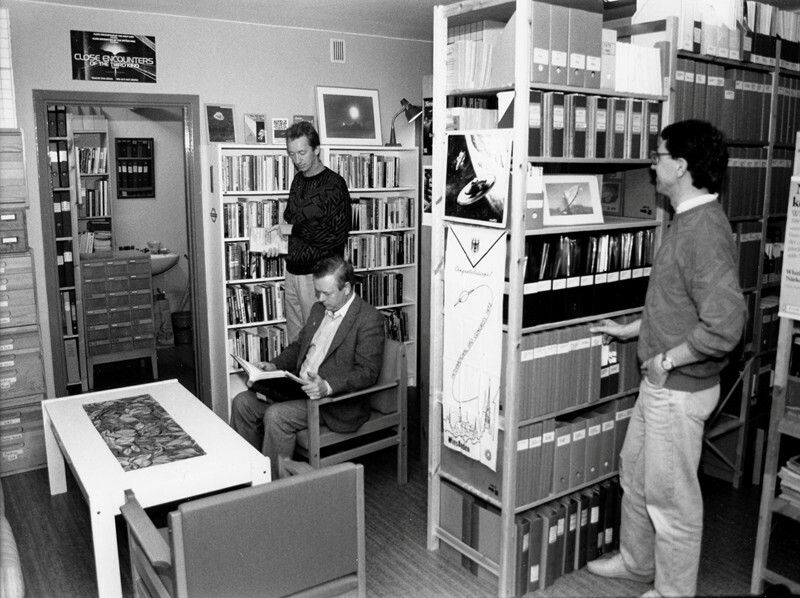 Between 1993-1998 some 40 people worked on ALU projects at the archive. 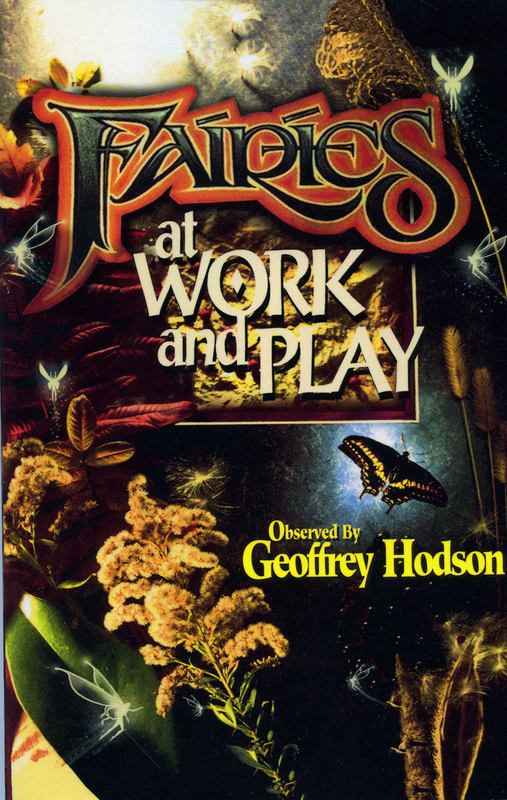 From an international perspective this was an unique opportunity to have a staff of people working full time at a UFO organization. Unheard of as far as I know. 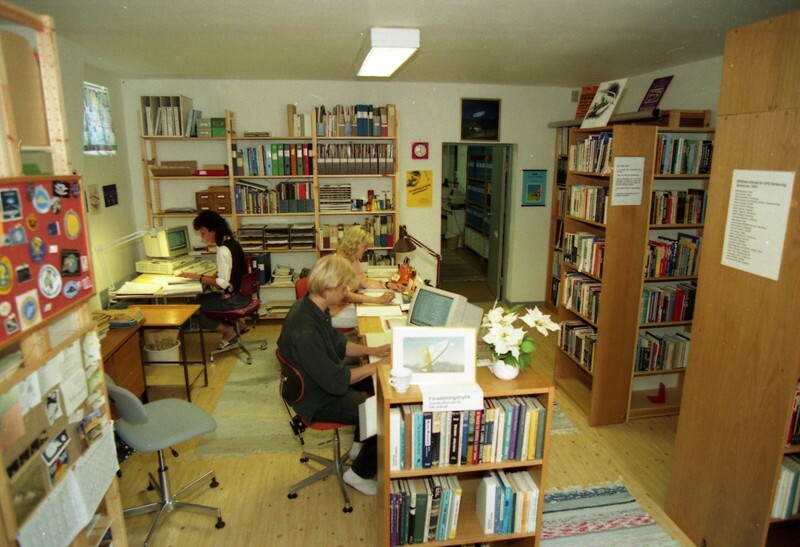 As we now officially regarded AFU as an archive, in 1993 we became members of two Swedish archive associations, Östergötlands Arkivförbund (ÖLFA) and Folkrörelsernas Arkivförbund (FA). On October 23, 1993 The Board of Private Archives of the National Archives in Stockholm decided to grant us 6,500 SEK to pay for working material connected to our ALU projects. This was our first recognition as a serious archive institution and our first grant from the Swedish authorities. My first UFO book UFO – i myt och verklighet (UFO – in Myth and Reality) was published in December 1993, receiving favorable reviews and copies were purchased by most of the Swedish public libraries. In 1995 Clas Svahn´s thorough investigation and documentation of the Gösta Carlsson close encounter and contact case was published. 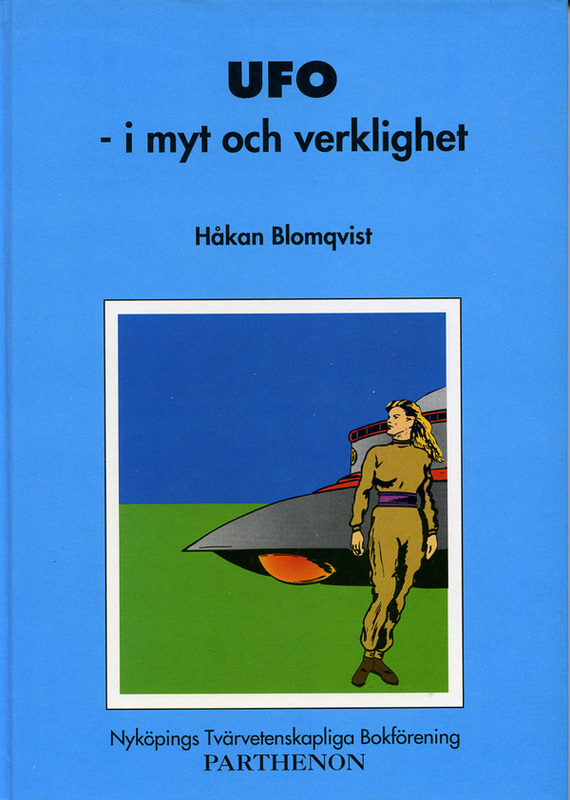 Today a classic in Swedish UFO literature. 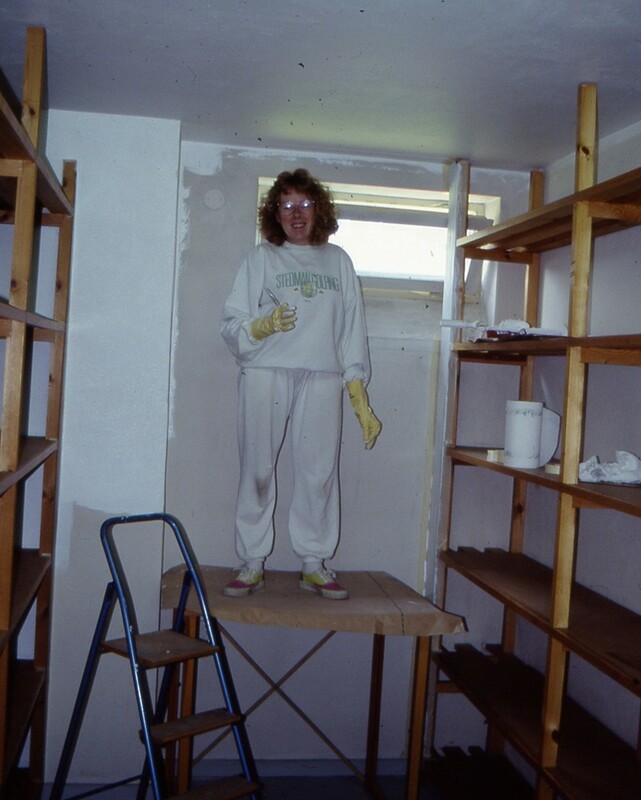 Our first international guest was Hilary Evans, who visited us in October 1996. 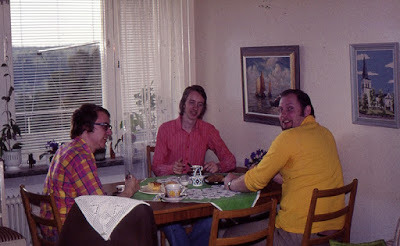 We had many interesting discussions about UFO and paranormal phenomena. Although a skeptic regarding UFO he was very open to the idea of phenomena hitherto unknown. 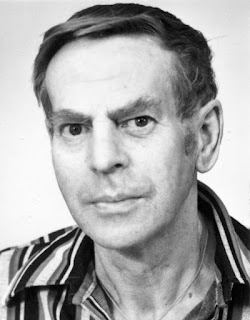 Hilary Evans many years later donated his entire archive to AFU and was also the donor who inspired us to change the AFU acronym to Archives for the Unexplained. 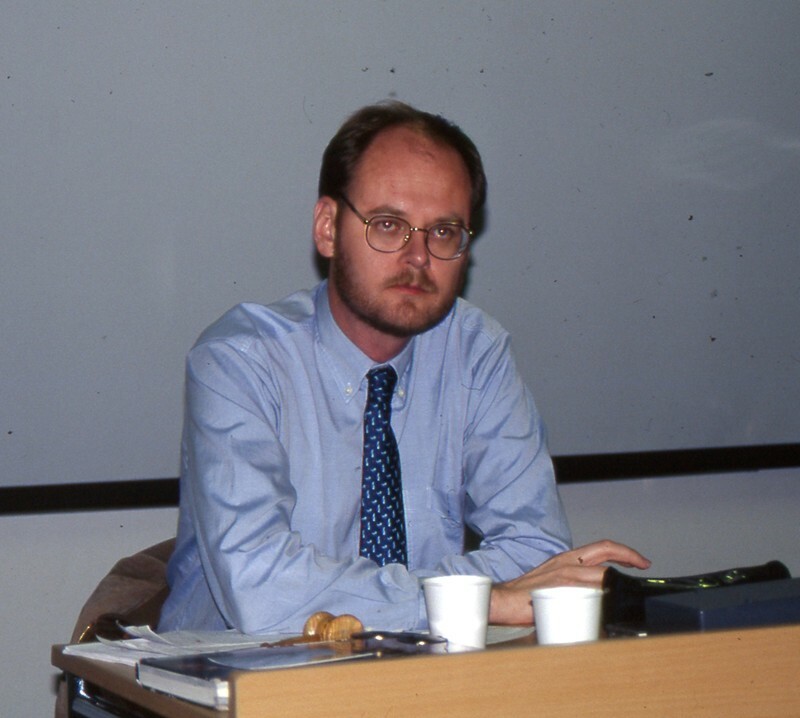 In 1998 AFU was visisted by Timothy Good, who donated 12,000 SEK. A very welcome contribution. 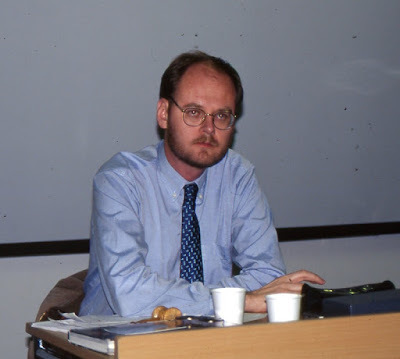 My AFU colleague Anders Liljegren often, in a friendly and good-natured spirit, poke fun at my historical flashbacks. Anders have dubbed me The Knight of Nostalgia. Not a bad title at all, in my view. As I often have reiterated: Without libraries and archives we have no history, only anecdotes, myths and hazy memories. Without archives and libraries serious and scientific research becomes very difficult and in some areas almost impossible. If we don´t learn from history we will continue making the same mistakes or once again trying to reinvent the wheel. AFU is our legacy to the future.